oh, sweet joy! : wiww: you asked for it! can you tell I collect white t-shirts like our piano collects dust? yikes. I should branch out more. 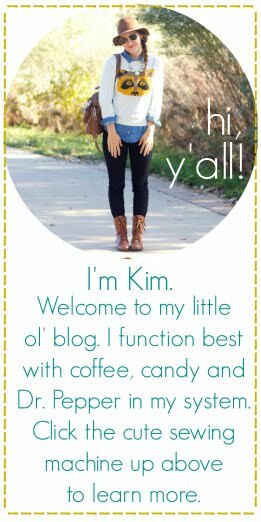 Linking up to Lindsay's What I Wore Wednesday! haha- I didn't even notice you had so many white tees in these pics. How pathetic am I? I was too busy looking at all your cute accessories and Anthro pieces to notice- oh and that gorgeous bridal gown. Your friend looks amazing. LOV-ing your Dillards dress, too. So fun for Summer! There is definitely nothing wrong with a white tee habit...i've got a pretty bad one myself :) My favorite are Gap v-necks-- I Iiterally buy them two at a time at Gap outlets cause I wear the heck outta them! Cute post! I absolutely love your outfits! There is nothing wrong with a t-shirt collection. Heck, I wish I had one! hehe!! Kim you are too funny girl!! I love your white tee line! okay. you are just way too cute!! cute outfits...You accessorize so well! want to help me?! Super cute way of posting your outfits!! Loving the dress in the first picture! You look darling, and this round up is absolutely charming! Love that plummy Anthro skirt-perfect with a white tee! i love that burgundy skirt from anthro! and with that belt! Love the yellow scarf! And that giant ice cream!! !